PrepInsta eLitmus Preparation course material help the student to crack the eLitmus exam. Prepinsta help the student how to clear the eLitmus exam and how to crack Elitmus test. We have all the information about latest eLitmus syllabus and other information also. elitmus preparation different types of paid study material available here , that will help the student to increase their knowledge and score good marks in the exam. We have both free and Paid materials available for you. Total Number of Questions asked: 20 Questions. eLitmus Evaluation Private Limited is an Indian recruitment organization.Since it was launched in 2005 in India. eLitmus has been redefining how fresher and entry-level recruitment is done in India. eLitmus conducts a test known as pH test at national level across India. This test is very useful for the freshers candidate to get a job with good salary package through off campus. 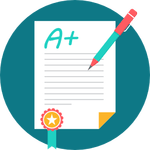 If student”s score more than 80+ in each topic then you have a good chance to get called by companies to get calls for interviews based on their pH score and the percentile secured by candidate in the exam. All applicants who are in final year of B.E. / B.Tech Engineering Courses & Programs and who have completed the Engineering (B.E / B.Tech) qualify for the Exam. Note: Candidate require to carry one original Government-issued ID (like Driving license, passport, Voter Id card etc) and eLitmus Admit Card with recent photo pasted. HOW MUCH TIME IS SUFFICIENT FOR ELITMUS STUDY PREPARATION COURSE? Atleast 2 months is necessary to take preparation.But if you study from Prepinsta then you can easily understand the concept clearly. WHERE I CAN STUDY FOR ELITMUS COMPUTER SCIENCE PAPER? You can study from our website PrepInsta. From here you will find all latest syllabus and study materials. IS THERE ANY SECTIONAL TIMINGS? There is no sectional timings in eLitmus Exam.It is pen & paper based Exam.It is totaly depend on you from where you want to start paper. WHAT IS VALIDITY OF ELITMUS SCORE CARD? eLitmus score card is valid for 2 years.You can apply any companies by using your eLitmus card score within two years. IS ELITMUS EXAM NON-ADAPTIVE IN NATURE? Yes, eLitmus exam is non-adaptive in nature and pen & paper based Exam. WHAT ARE THE BEST WAY TO GET GOOD PH SCORE? If you really want to get good score then study from our website.Here lot of Tricks and tips available and online live class also available.